Tackett Real Estate & Contents Auction — Harritt Group, Inc. 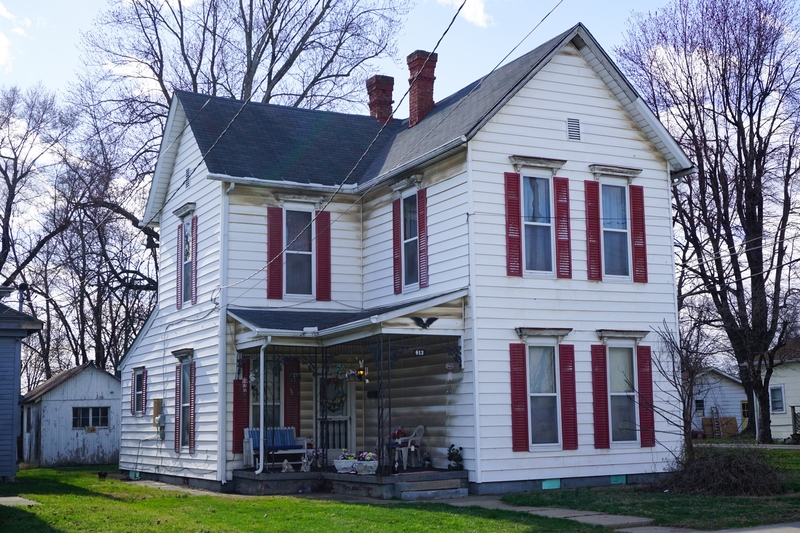 Selling live on-site a turn of the century two-story eight-room home on .23 acre lot in downtown Sellersburg off US-31 in a residential and business district in Clark County. A fixer-upper with potential located just minutes to I-65. Also selling the contents including furniture, antiques, sewing equipment, military clothing, and collectibles. Spacious 1,874 square foot 4 bedroom – 1 bath two story home with covered porch and detached utility shed on 50’ x 200’ lot with alley access located off US-31 near Silver Creek Schools. Stately home needing renovations features covered porch, 10’ ceilings, transom doors, wood floors, wood fireplace mantels, and gas fired hot water heat. First floor has front parlor room perfect for a private office or additional bedroom, living room, kitchen, dining room, full bath, and bedroom plus additional three bedrooms up. Located near shopping, expressways and just 15 minutes to Louisville. 10% Non-refundable down payment due day of auction, balance due in 40 days. Taxes prorated to day of closing. Possession at closing. Selling as is with no contingencies, all inspections welcomed prior to the auction. Antique oak pedestal dining table, retro 1950’s armchair, (2) mirrored chifferobes, nightstands, mid-century dressers, cane bottom chairs, sofas, armchairs, large dresser with mirror, headboard, tiered marble plant stand, black enamel mirrored china display cabinet, kitchen dinette set and more. Quilt rack, retro Silvertone radio, vintage Sellersburg Volunteer Fire Department metal license plate, antique Singer 201 sewing machine, (2) modern Singer sewing machines, retro Keystone sewing machine, Pyrex bowls, stoneware bowls, LP records – 33’s and 45’s, large selection of dolls, framed art, several pieces of retro luggage, large selection of military clothing and gear, quilts, large velvet painting of Elvis Presley, large selection of costume jewelry, several modern ladies purses, christmas and other holiday decor, modern stained glass lamp and art, Oreck upright vacuum, vintage wood softball bat, large selection of figurines, vintage Starters Indiana jacket, paper fans, Household Oil tin, modern stereo and radio equipment, plastic storage racks, vintage clothes racks, floor fans, concrete yard art, large selection of glassware, kitchenware and more. Payment due day of auction upon purchase in the form of Cash, Check or Credit Card (3% Convenience Fee Added for Credit & Debit Cards). I-65 to Sellersburg Exit #9. North 1/2 mile on North US-31/Indiana Avenue to right at light on Utica Street. 3/10 mile to auction on right.